Treat mom to personalized stamped jewelry! She’s sure to adore our Vertical Stamped Name Bar Necklace in Gold Plating accents. A gorgeous choice that mom will find herself wearing again and again, this piece embraces several trends that come together in harmony: Its hammered texture, beautiful birthstones, and customized inscriptions rendered in hand stamp lettering make it unique while showing her just how much she means to you. 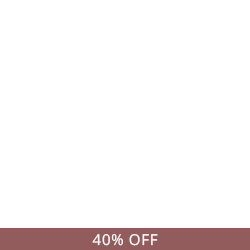 This personalized bar necklace is made with sterling silver and 18k gold plate, and includes a rolo chain in your choice of length. 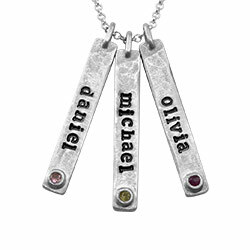 Make it unique by selecting between one and five vertical bars, each personalized with a birthstone and the name or word of your choice. This lovely piece is part of our birthstone necklaces collection.